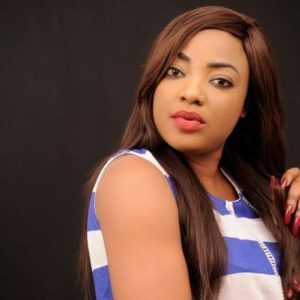 Nigerian movie star, Tayo Sobola, has explained why some people think she is a bad girl in a new interview. Tayo Sobola, Nollywood actress, has admitted that she is aware that certain people think she is wild and a bad influence. In an encounter with Sunday Scoop, she explained that she knew some people think she is a bad girl because she could appear crazy sometimes. She however said she is a calm person.